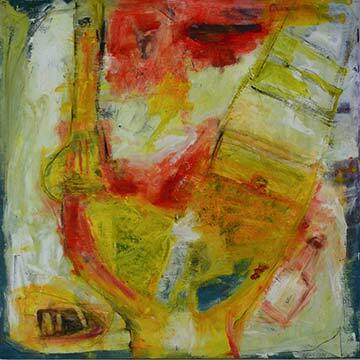 Jane Walker is a Todmorden artist who has attended Northlight Education for a number of years. She started painting later in life, in her early 50s, having had no previous art experience. Her work in oils often considers the human condition from an emotional perspective. Many of her paintings are deeply personal works using figurative, abstract and expressionistic forms and are approached in an instinctive and uninhibited style. 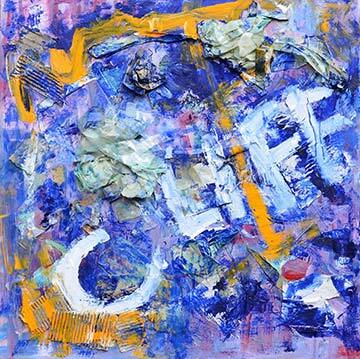 'Cliff of Dukinfield' is Jane's first solo exhibition and continues in this theme, considering life's experiences and relationships, and the impact and consequences of these on the individual. Jane Walker says, "My exhibition 'Cliff of Dukinfield' is essentially about the relationships and experiences in life that shape us as individuals. I've drawn a lot from my own experiences which consider the impact of these connections, the unsaid things that we carry around and how we fare with the consequences. "The exhibition comprises of approximately 36 oil paintings. Inspiration comes from many sources: dreams, dysfunction, music, feelings, the human condition, politics, animals, death, the absurdity of life, mythology, memories, to name a few. The preview is this Sunday at The David Wright Gallery, Artsmill. 2pm - 4pm The exhibition is running till 5 May.